If you could go back to 1990 and tell the first person you met that by 2015, BMW would be making a seven-seat, front-wheel drive MPV, you’d be quickly locked away by men in lab coats. Who would believe a crazy story about a BMW meant for seven? 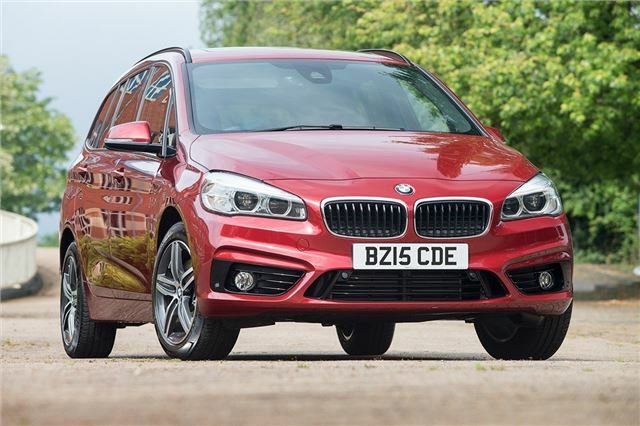 And yet, here we are in 2015 with the BMW 2 Series Gran Tourer. On the plus side, access to the third row is quite good, while the middle row is really versatile. 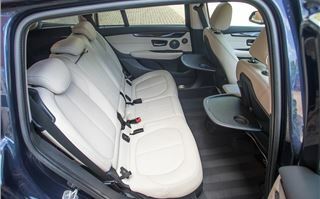 The seats slide back and forth in a 60/40 split, with a 40/20/40 split for the folding back rests, plus there are three-abreast Isofix points for child seats. 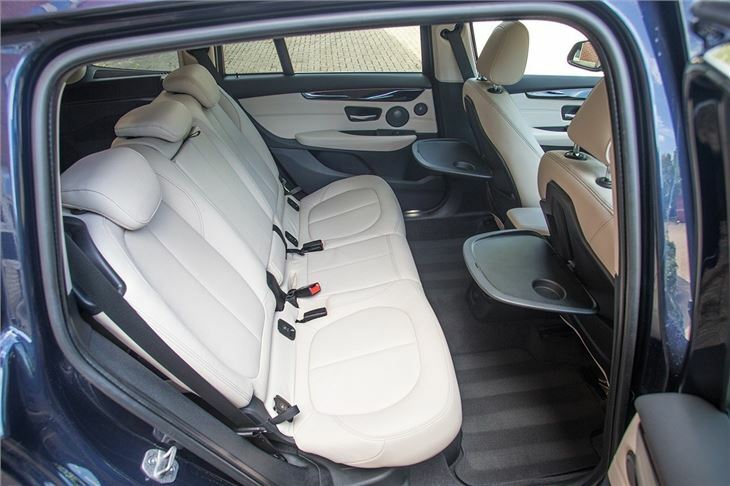 Head and leg room are very generous indeed – adults will be more than comfortable in the back, in part thanks to a higher roofline than the Active Tourer. 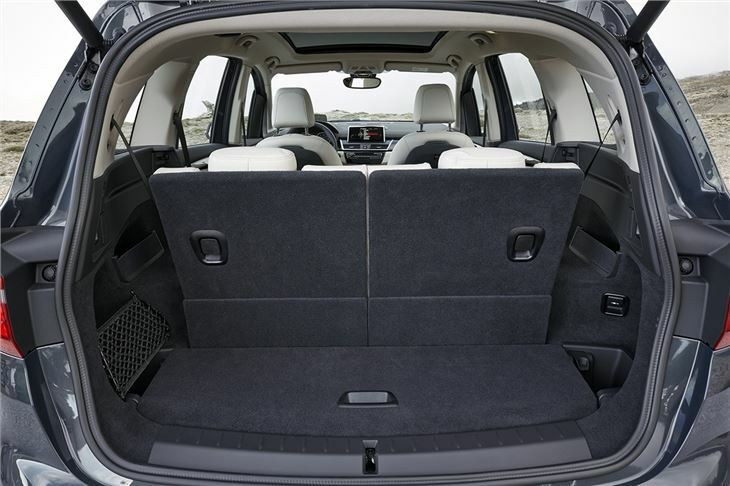 Other practical touches include picnic tables on the back rests of the front two seats, though these can be removed if they’re being relentlessly bashed by impatient children. The mount for these can be used to fit other options including iPads – handy on a long journey. There are also various cubby holes for odds and ends or drinks - all of the door pockets can hold a 1.5-litre bottle, for example. Up front the Gran Tourer is exactly the same as the smaller Active Tourer. 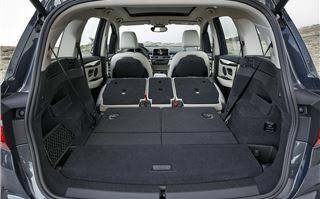 That means you get typical, plush BMW material quality and impressive comfort levels from the supportive seats. 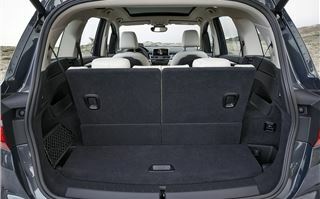 As in the back, there are plenty of cubby holes and storage bins, plus you can specify a fold flat passenger seat for those long items like flat pack book cases. 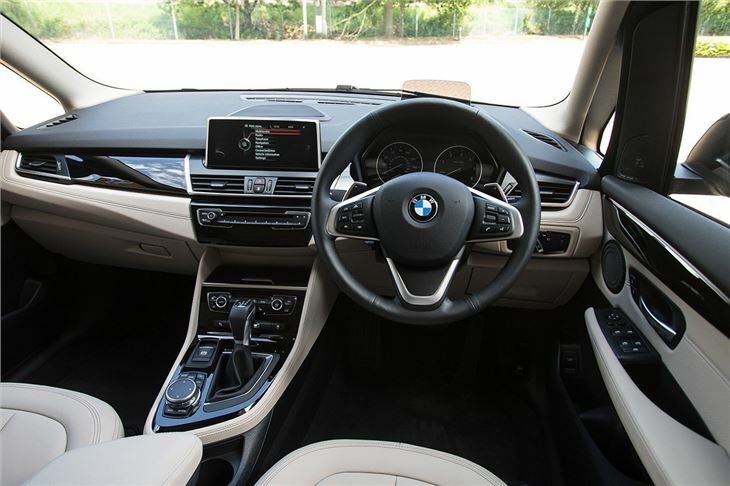 Standard equipment is surprisingly generous – all models get iDrive with navigation, along with DAB, auto lights, city emergency braking, dual-zone climate control and alloy wheels. The trim structure is similar to other BMW models – there is a basic SE model, plus Sport, Luxury and M Sport. 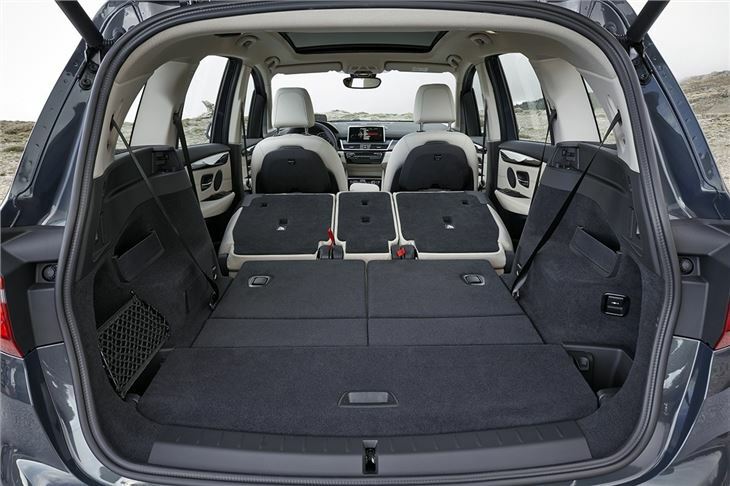 Each of these has a distinct look inside and out, but aside from upholstery and styling the different trim levels don’t add much equipment over the SE. The engine range is the same as the smaller Active Tourer – buyers can choose between two petrol and three diesel engines with power outputs ranging from 116PS and 192PS. 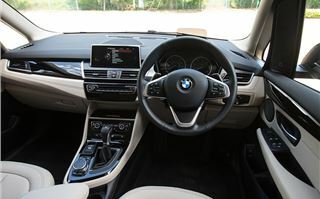 The most frugal option is the manual-only 216d, which emits 108g/km of CO2 and has official economy of 68.9mpg - but all of the engines are modern, flexible and have reasonable emissions and economy figures. We tested the 218i petrol, which produces 136PS and, more importantly, a useful 220Nm of torque from 1250rpm. 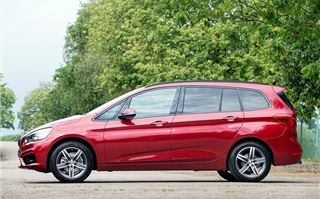 It is a three-cylinder engine, but you can barely tell thanks to its impressive refinement and sound-proofing - the Gran Tourer is very quiet on the road. Performance is good, with plenty of low-down grunt for accelerating out of corners or overtaking slower traffic – plus official economy is respectable at 53.3mpg, although in our experience if you can get to 40mpg you'll be doing well. It might be front-wheel drive, but the Gran Tourer still handles very well. The steering is responsive and nicely weighted while the suspension offers a well-judged balance between good body control and impressively smooth ride comfort, even on larger wheels. 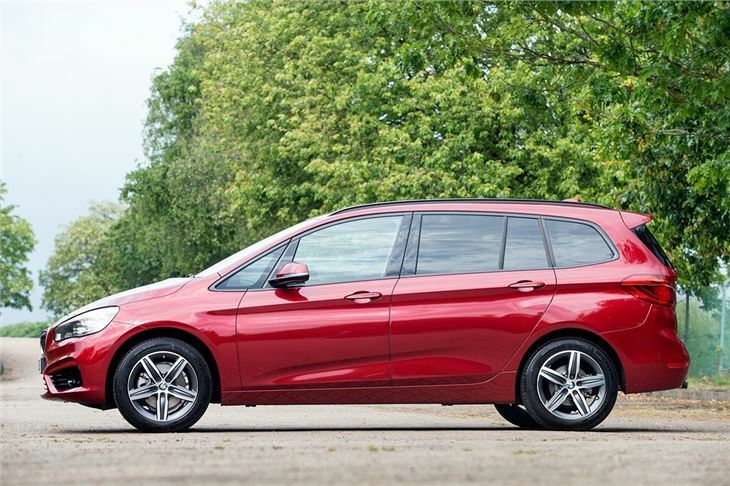 As a family car for a keen driver, the 2 Series Gran Tourer ticks the right boxes, but it is also smooth and relaxing in town and easy to park, despite offering space for seven. 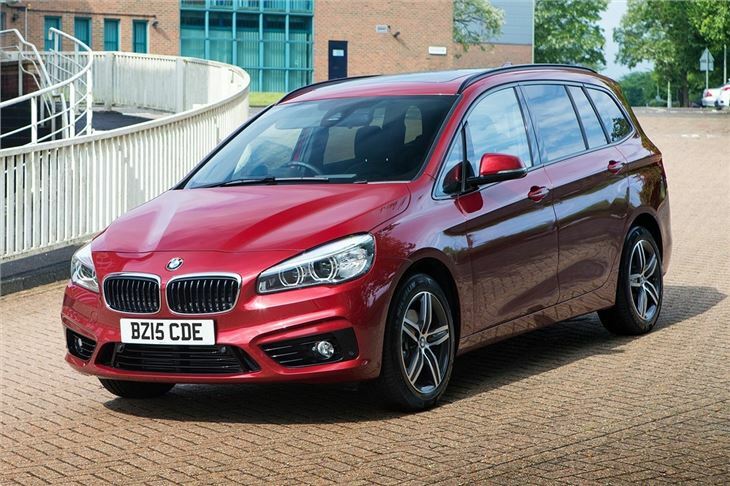 The BMW 2 Series Active Tourer is on sale now.